Huddersfield Town Football Club (HTAFC) business partners, Microform Imaging Ltd have used its 360° imaging facilities to take images for the team’s 2017/18 home shirt. This allows the entire strip to be viewed as one image on the club’s official shop site. Neil Bowker, operations director, said: “We are thrilled to have been able to put forward this new service to our partners HTAFC, in helping them showcase their new strip. A wide range of organisations have benefited from Microform’s 360° imaging service. Universities often have requests for historical artefacts or awards to be photographed. Museums can also use this to display prized possessions to visitors without risking the safety of the physical, often delicate, objects themselves. They have also performed services for the Silverstone Grand Prix F1 Trophy amongst other objects across a wide variety of spectrums. 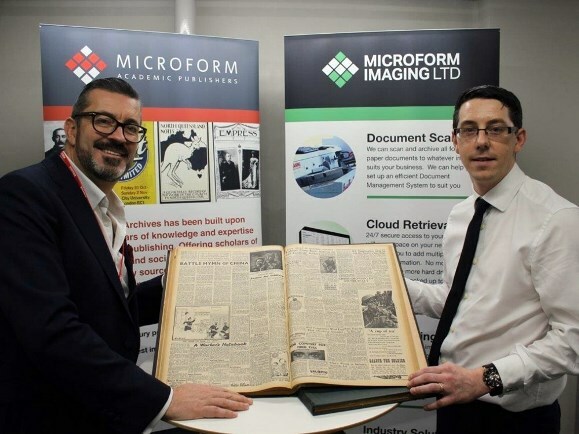 Microform Imaging Ltd, based in East Ardsley, have over 50 years’ experience and provide one of the most comprehensive, multi-document scanning and microfilming services in the UK.